Everything is an option in the Sprinter, but available active safety features should be on the short list for any fleet buyer. The 2018 Mercedes-Benz Sprinter is a commercial van in a gap year—a new van is on the horizon and the old version is pared down to its essentials. The 2018 Mercedes-Benz Sprinter commercial van is in the final year of its current configuration before a new model arrives in fall. 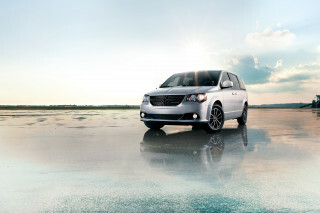 This year’s van pares down the engine lineup to a 3.0-liter V-6 turbodiesel and 5-speed automatic. Rear-wheel drive is standard and four-wheel drive is available for $7,500. Mostly, what you see is what you get with the Sprinter. Mercedes has crafted a corporate nose on the van and it helps the Sprinter look sharper than other commercial competitors. It’s offered in worker, cargo, passenger, crew, and chassis cab configurations with short-, long-, or extended long-wheelbase configurations. We’ll focus on the passenger version here. Inside, the van ranges from spartan to modest, depending on configuration from the factory. With up to 530 cubic feet of cargo room available, the overall space is confined by the owners’ imaginations—and budgets. Base vans aren’t decadent and include seats for two, a 5.8-inch display for infotainment, a rearview camera, and not much else. Higher-spec cargo vans and passenger vehicles add more options, including driver’s seat adjustability, tow-prep electrical hookups, interior lighting and storage, and seats for up to 12 passengers. Active safety features including automatic emergency braking, blind-spot monitors, and parking sensors are available. 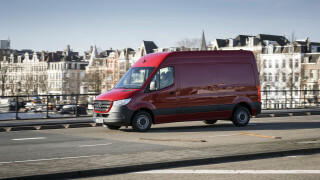 The Sprinter has not been rated by federal officials for fuel economy or crashworthiness. The 2018 Mercedes-Benz Sprinter is handsome from the front, but it’s largely utilitarian everywhere else. It’s a big van, after all. The 2018 Mercedes-Benz Sprinter isn’t flashy outside and utilitarian inside. Like our refrigerators at home, what’s inside matters more than what’s outside. That’s not to say that the current version has an ungainly nose. 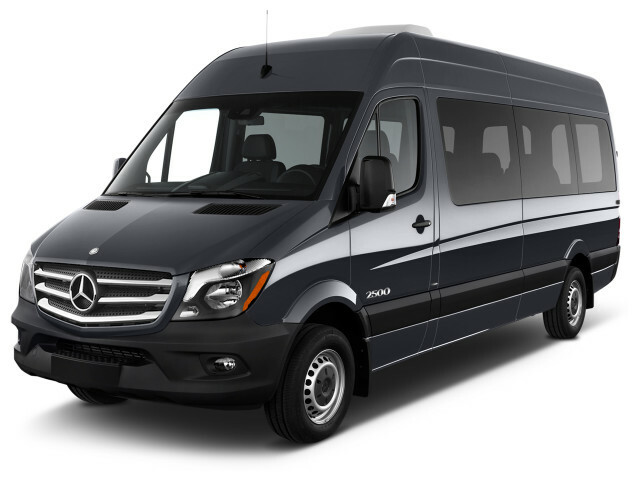 Unlike the Nissan NV and Ram ProMaster that the Sprinter competes with, the Mercedes corporate face was translated fairly well onto the big van. 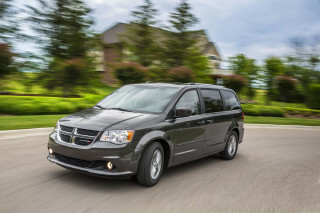 It’s a cleaner look and there are less attractive ways to make a blunt, big van, we’ll admit. Along the sides and the back, the Sprinter largely looks like the box it came in. Inside, the cargo versions skip style for space. Passenger versions have more creature comforts—including places to sit—but aren’t lavishly equipped. For some, Sprinters can be rigged with luxurious amenities and turn into small RVs when outfitted, but base vans from the factory are fairly spartan. Outfitters can even convert the Sprinter into lavish limousine replacements: ask Mark Wahlberg about his, the next time you see him. The 2018 Mercedes-Benz Sprinter is about getting the job done, and not much else. The numbers that customers will likely care about more are 5,507 and 7,500, the payload and tow ratings (in pounds) for properly equipped Sprinters. The turbodiesel V-6 is the only engine in the Sprinter and it’s built for longevity and simplicity. Mercedes says the engine was designed for 20,000-mile service intervals and geared low in first gear for easy takeoff, and high in its fifth (overdrive) gear for long haul efficiency. Good for around-town and long hauls, but maybe not for gear spacing and additional comfort. The Sprinter’s ace is its optional four-wheel drive for $7,495 extra. That’s a big ask for two more driven wheels, but the additional capability maxes the Sprinter’s tow rating and adds more ground clearance (4.3 inches in the front, 3.1 inches in the rear). Overlanders will consider the option for their vans, it’s more than an all-weather system. A new Sprinter is on the way for 2019 that should be more efficient and perhaps more comfortable to drive. Sick of rising housing prices? The 2018 Mercedes-Benz Sprinter offers up to 530 cubic feet of interior space. The 2018 Mercedes-Benz Sprinter is comfortable for a cargo van, but that’s not a very high bar. Most vans on the road will be cargo worker vans with two posts up front and lots of empty space in the back. Mercedes-Benz offers the van in cargo or passenger configurations (a chassis cab is available too), with a standard or high roof, and long- or short-wheelbase configuration. Cargo vans offer a super-sized extended wheelbase version that adds 15 inches to the overall length for even more room. Up to 530 cubic feet of cargo room is available in the Sprinter, enough for a mobile workshop or a starter studio apartment. The front seats are comfortable for occasional use with adequate bolstering and leg support, but any similarities to Mercedes-Benz’s luxury cars and their Sprinter vans mostly end at the badge up front. The base seats don’t offer angle adjustments. Mostly, the Sprinter provides a good view out front and enough seat adjustment for most body types. In higher spec or passenger configuration, a driver comfort package is available that includes lumbar support and seat angle adjustment. The rear seats in passenger van models are adequate for team outings and seats up to 12. If your starting five and bench can ride in separate vehicles, mainstream minivans may be more comfortable for long hauls. The 2018 Mercedes-Benz Sprinter lacks official crash test data. Cargo vans are equipped with driver and passenger front, thorax, and window airbags and passenger vans are equipped with rear curtain airbags. A standard crosswind mitigation system helps keep the Sprinter on the road during gusty jaunts, and a rearview camera is standard this year. Available active safety features include blind-spot monitors, parking sensors, and automatic emergency braking. Those features are extra-cost options on all but the base worker van, where they’re not available. The 2018 Mercedes-Benz Sprinter is an automotive blank canvas for workers—it’s even tinted like one too. The 2018 Mercedes-Benz Sprinter is a people carrier, mobile workshop, long hauler, refrigerated truck, dog groomer—whatever it needs to be. Roughly 75 percent of vans sold will be customized for work detail, so what’s the point in unnecessary standard gear? 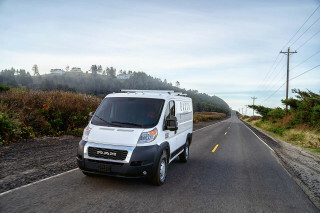 Base worker cargo vans are equipped with two seats, a 5.8-inch color display, rearview camera, Bluetooth and USB connectivity, power features, air conditioning, and a crosswind mitigation system that can help keep the van upright. You can have the worker van in any color you like, as long as that color is white. 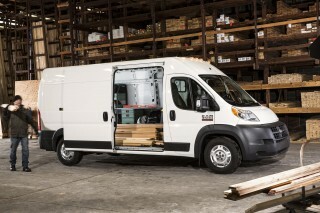 The Sprinter is offered in base worker, Sprinter cargo, passenger, crew, and chassis cab setups with long or short wheelbases, and standard- or high-roof configurations. 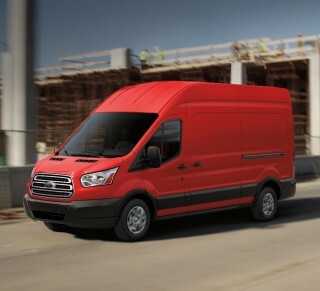 Worker vans offer few options packages that build on each other starting with a tow-prep package with cruise control and steering wheel controls; an interior wood floor package, interior lighting, and grab handles; or a full-boat package with two more keys, interior storage, rear step, and blind-spot monitors. Sprinter cargo vans offer more color options, driver comfort features, and a la carte options that include active safety features including active lane control, blind-spot monitors, automatic emergency braking, and parking sensors. Navigation is optional on most vans above the base worker van. Passenger vans add more seating, but their options largely follow the Sprinter cargo van. Federal testers haven’t rated the Sprinter for fuel economy. Federal officials haven’t rated the 2018 Mercedes-Benz Sprinter for fuel economy. We don’t expect that to change any time soon. The Sprinter is similar to other large utility vans in escaping the EPA’s calculators. The big Merc may have an edge on rivals for long hauls; it’s powered exclusively by turbodiesel engines. The bad news? The Sprinter and a large barn share similar aerodynamic profiles.